Skepta has been in the news lately not only for his back to back string of hits, tours to Nigeria involving live shows, pop-ups, and majorly fashion with the launch of his brand Mains (which he debuted with a Vogue cover spread featuring himself and Naomi Campbell) and work with sportswear brands. He’s been collaborating with the sport wear brand Nike all year working on jerseys, garbs and different variations of his favorite Nike silhouette, the ‘Air Max’. A popular silhouette in the grime scene Skepta’s has helped pioneer into a global sound with his BBK crew. He’s recently released a new variation, his second this year of the Air Max. The ‘Nike Air Max Deluxe SK‘ is a tribute to his entire grime journey thus far. 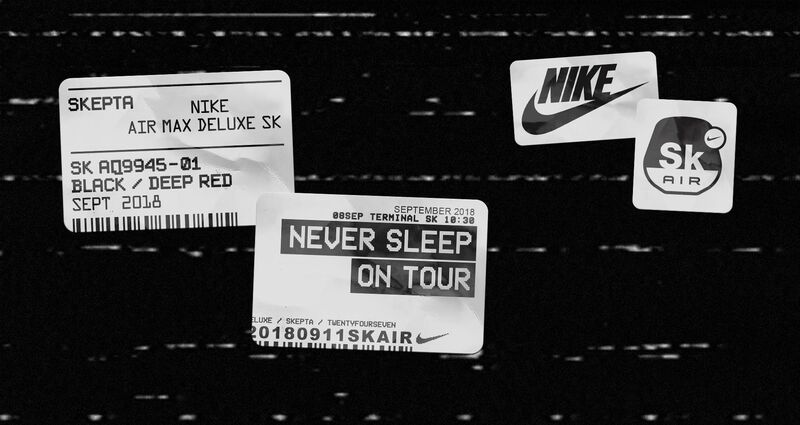 The release of the new sneakers has been at the center of his #NeverSleepOnTour country hop, and the theme of the crazy collage of images, videos, and gifs on a website with the same name. After much teasing, the official release of the shoe on Nike’s website is out and it’s was every bit worth the wait. The connection between the grime scene and Air Max is no secret. At the forefront is Skepta, who’s been down with the bubbles long before his rise to fame. 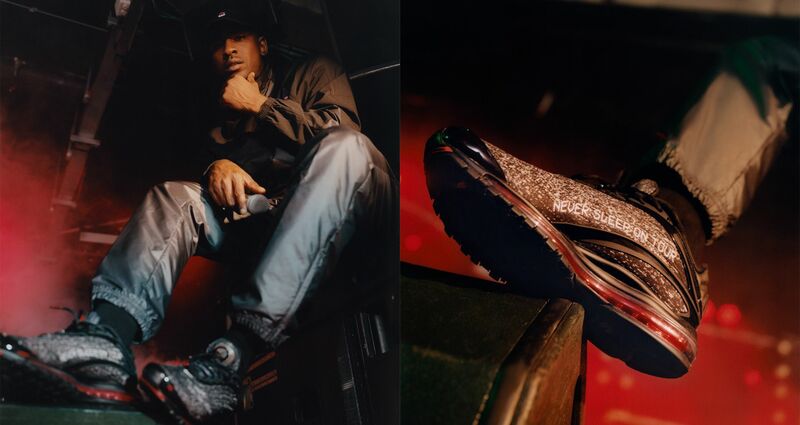 Now years later, Skepta is two Air Max models in and upon his third, in the Air Max Deluxe. A reissue from 1999, the Air Max Deluxe is one of his favorites and a silhouette he long wanted to see Nike resurrect. Skepta’s take on the deluxe is an extension of his “Never sleep on tour” ethos he’s lived by since 2014, and the release of his “That’s Not Me” track. Inspired by the single’s music video, the shoe takes on a static-like graphic print throughout the upper. 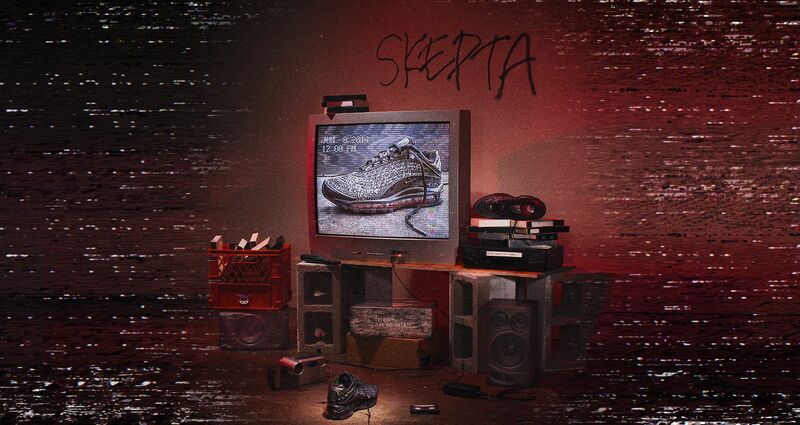 The print also embodies Skepta’s insomniac-like mind when he’s on tour and is reminiscent of the DIY approach of grime’s golden era in the 90s. 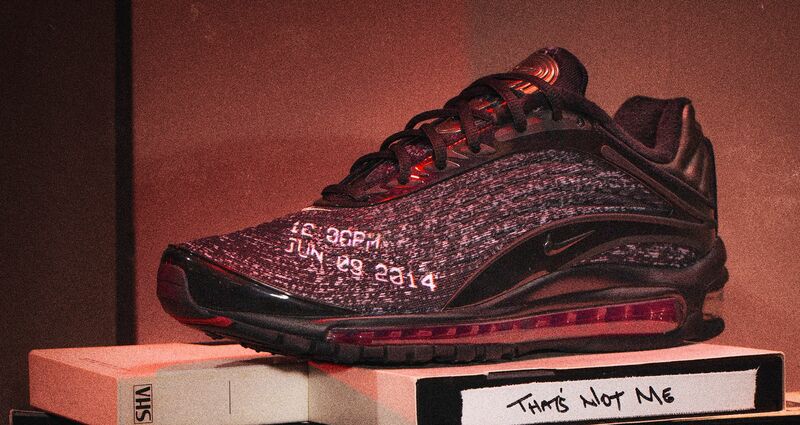 Creating his own graphic print is another way Skepta shows his love for the original Air Max Deluxe and nods to the treatments seen on the original back in 1999. 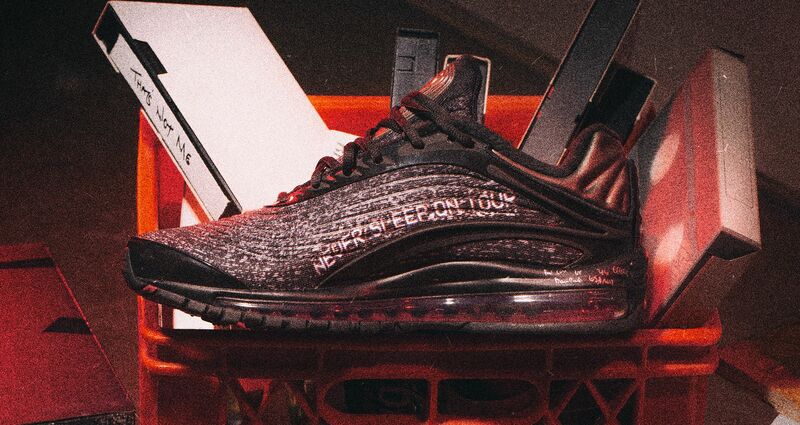 At the lateral side forefoot, Skepta’s Deluxe design marks in time the release date of “That’s Not Me.” Furthering his mindset and the idea of “Never sleep on Tour,” the quote is displayed across the shoe’s medial side.